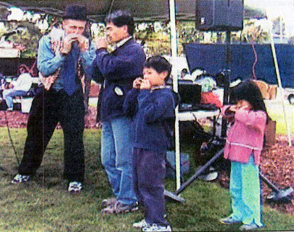 Wiley teaches harmonica workshops for children and adults! 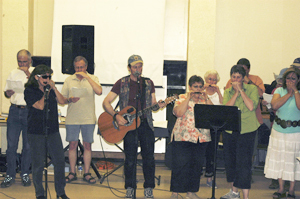 At the American Youth Foundation International Leadership Conferences, Wiley began conducting harmonica workshops for high school and college students. Since then, he has led workshops for Arizona Professors’ conferences (Center for Learning and Teaching Excellence, see picture below), and other groups of diverse age ranges. Click here to learn more about Wiley’s Harmonica Workshops and to hear some great work by students! Wiley has conducted songwriting workshops (often based on the Power of Strong Character™) for The American Youth Foundation, for the Santa Clara County Arts Council, for the Eastfield Ming Quong Foundation in Northern California, and other groups. Click here to learn more about Wiley’s Songwriting Workshops and to hear some great work by students! Click here to learn more about Wiley’s Teacher Training Workshops.